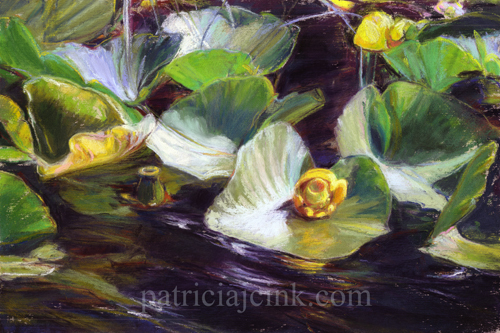 It was too windy to sit and paint, so my camera studied the pond lily leaves as they danced on the dark water. 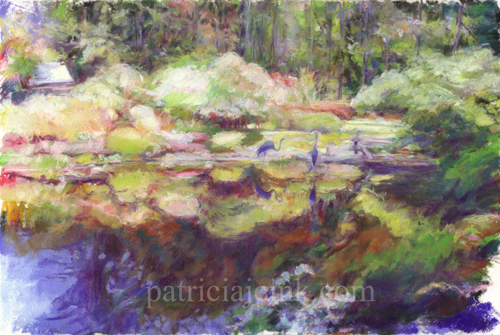 Later, the soft pastels translated the wind and light on the water lilies. This painting can be viewed and purchased at the Southern Coos Hospital’s show, “Flora and Fauna of the Coquille Watershed” April 9 until June 26, 2015. The reception is April 12, 2015 from 1:00-3:00 pm at the Southern Coos Hospital and Health Center, 900 11th Street SE, Bandon, Oregon.